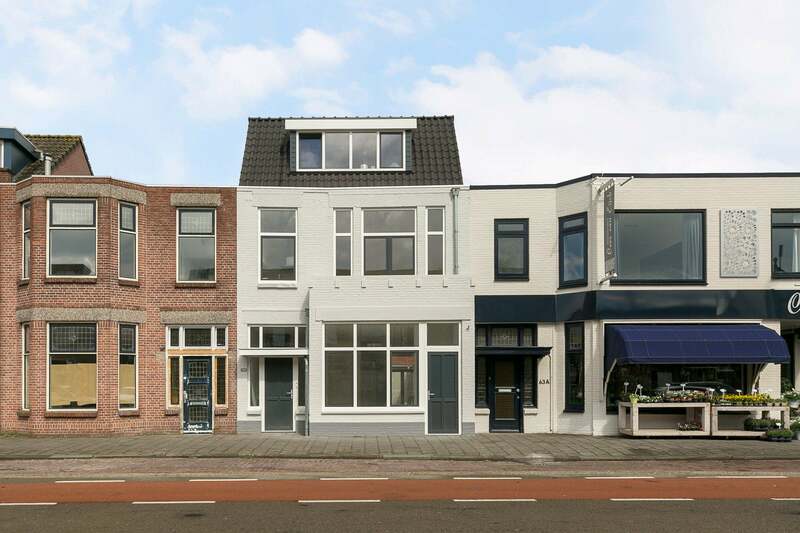 In 2018/2019 a completely renovated 2-room apartment at Generaal Maczekstraat in the popular Zandberg district in Breda-Zuid, this is your chance! This property has a modern semi-open kitchen, equipped with a French balcony and a spacious roof terrace at the rear. In addition, the location near the center of Breda, 't Ginneken and the Ginnekenmarkt within walking distance. Ideal for the person who wants to enjoy city life. Shops, sports facilities and restaurants can all be found around the corner. If you are interested in this apartment, we would like to invite you for a first viewing! Central entrance, with meter cupboard and stairs to the apartment. Landing, access door there is access to the apartment. Living room, gives access to the kitchen, the toilet and the bedroom. From the living room is accessible access to a French balcony that is located on the south. Toilet, with a tiled floor, wall tiling and floating toilet. Kitchen has a luxurious modern design with various equipment, various upper and lower cabinets and a sink. There is also a washer / dryer combination in the kitchen. Bedroom I, located at the rear of the apartment. In the bedroom there is a fixed cupboard wall. Through the bedroom there is access to the bathroom and the roof terrace. Bathroom, with tiled floor and wall finish. In addition, the bathroom has a walk-in shower with thermostat and a sink. In addition, there is a built-in cupboard with HR combi boiler. Roof terrace, this will be by landlord of ramps and metal fencing.